The rich orange color of pumpkin is the presence of beta carotene in the vegetable which is necessary for protecting the body against the risk of certain cancers. This beta carotene has antioxidant and anti-inflammatory properties which are essential for reducing the risk of lung cancer and lowering the chances of joint inflammation and arthritis. 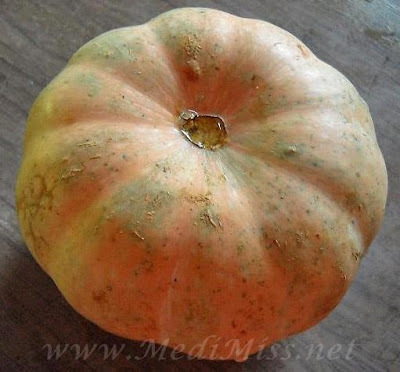 The little green seeds in pumpkins contain the protective compounds called phytosterols which are responsible for shrinking the prostate, thereby preventing the transformation of testosterone into dihydrotestosterone (DHT). High levels of DHT are linked with enlargement of prostate glands. The high amount of carotenoids in pumpkins help in fighting with the free radicals in the body, thereby preventing premature aging, cardiovascular diseases and other infections. Pumpkins are rich in Lutein and Zeaxanthin which are required for protecting the eyes against free radical damage and preventing the formation of cataracts and degeneration of eye tissues. Pumpkin seeds, also known as pepitas, are a rich source of protein and phytosterols that help in lowering blood cholesterol levels. Consuming pumpkin on a regular basis is known for promoting eye health and boosting the immune system, due to the presence of vitamin A in excessive amounts. Loaded with zinc and potassium, pumpkins are a proven solution for preventing the onset of cardiovascular diseases and hypertension. Besides, they provide bone density support in people suffering from osteoporosis and enhance the reproductive health of both men and women. Pumpkin juice is recommended for ulcers, high acidity and insomnia due to its sedative properties.